Our 1970’s Airstream land yacht will bring the perfect eye-catching ‘wow factor’ to your next event or pop-up. Email us with your thoughts and we’ll help you turn your ideas into reality. Our Airstream is 26 ft long. The white interior, laminate floors, and highly configurable layout mean it’s the perfect blank canvas for you to customize and create the impact you want. Need a really cool short-term retail space to create a long-term, lasting impression on your potential customers? Looking for a way to stand out from the competition and attract potential buyers? 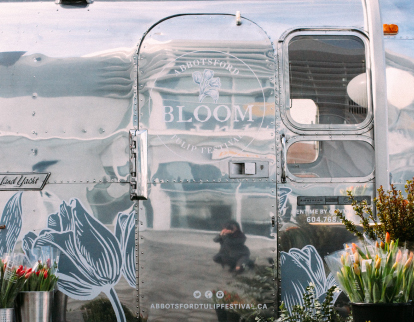 Our eye-catching Airstream allows you to communicate your brand’s promise to customers through a unique and memorable shopping environment. Our open-floor Airstream trailer can easily be transformed into your personalized and branded Pop-Up shop. Get your company’s name noticed with eye-catching side decals featuring your own brand name or logo. Contact us about branding opportunities and pricing for your event. Check out this link – Shopify – for more great information on pop-up shops. Also visit Brickhouse Signs for any of your corporate branding needs. If you are planning on having a bar at your function, but you want something different and visually exciting, we have you covered! Clients have used our Airstream as a backdrop for a bar, a lounge area, tasting room or simply as an extra fun and fantastic looking storage space for all those supplies you need stored somewhere. Our retro blue awning also makes a perfect cover if you have a bar outside the trailer. Airstreams Events & Pop-up does not carry a liquor license or food preparation license. 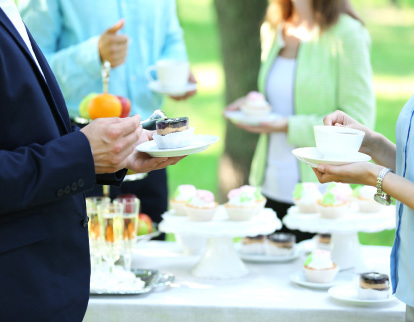 You have the flexibility to buy your own alcohol, food items and glassware or have your caterer provide these items as part of their package. Our Airstream trailer makes the perfect photo booth! 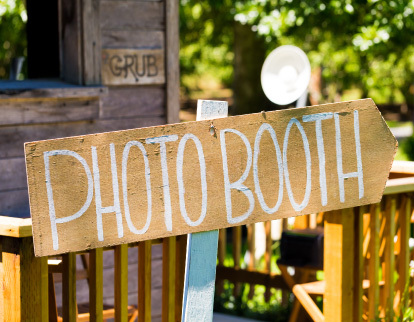 Imagine your photographer setting up the coolest photo booth inside our trailer! With a clean white palette for the interior, your imagination can run wild with ideas! Need props? We can help, and if we can’t, we know people who can! It’s your big day and you want everything to be perfect. 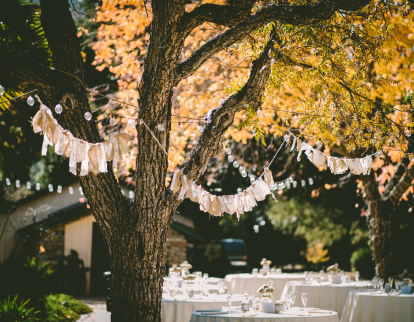 A wedding that is exciting, gorgeous, and most importantly unforgettable. Our Airstream can add an element to your wedding that will be super unique, visually stunning and serves multiple purposes. It makes a perfect area for a bridal party lounge or bridal change room. Maybe you want it to be your makeup and hair trailer for a quiet and intimate space to get ready for the big day or to steal a private moment to freshen up. It is also a super fun area to use as the groom’s quarters. Whatever you use it for, it doubles as the most amazing photographic backdrop as well. 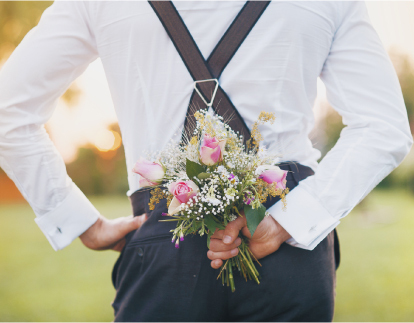 Let us know what you need and we’ll help customize your rental to your specific wedding needs. Contact us for more information or to book your dates. 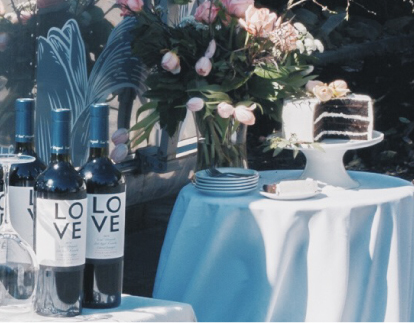 Birthdays, Anniversaries, Graduation… or maybe you just want to throw a really awesome party! Our trailer can add that extra element of retro awesomeness to any party. Ideas for using it are endless. Contact us today with your idea and we’ll help make it happen. Check out our bookings page for available dates. A sophisticated white palette on the inside and a shiny retro look trailer on the outside makes for the perfect backdrop for your brand or products to stand out. Customize the exterior and interior with your brand’s color and personality to make an inspiring and memorable impact with your clients and/or employees. Have a corporate logo you would like to feature? We can add your branding on the side of our Airstream trailer during your event! We work with Brickhouse Signs to customize decals and signage for you. We offer multi-day, weekly and monthly rentals for corporate events, industry rentals and brand activation. Contact us for a for a custom quote.